sparklingexpressions is thrilled to announce that this Autumn, we will be setting up this coming Halloween Season at the Home of the Spooky Wagon Ride! That's right, Cannamore Orchard, located in Embrun Ontario. Cannamore Apple Orchard is well known for their apples (prepicked as well as pick your own) and their spooktacular wagon ride. They have a complete Halloween themed town set up to entertain, thrill and scare you. Evenings are for those older visitors looking for thrills, fun and screams while afternoons are for the younger crowd, or those not looking to be scared out of their wits. 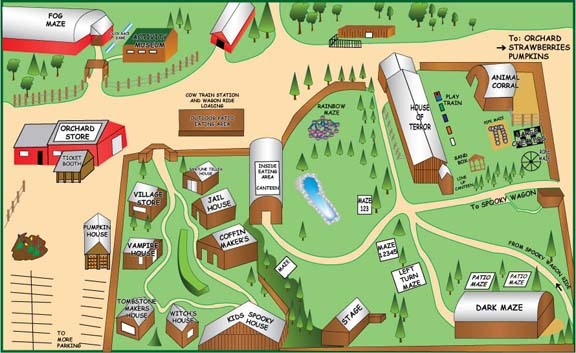 Cannamore Orchard offers many other attractions as well as many other garden items for sale as well. This year will the first time that Cannamore has opened the doors for crafters and vendors to take part as well, and sparklingexpressions is happy to hop aboard the Spooky Wagon and join in on the fun. For those of you on facebook, Cannamore Apple Orchard can be found at the home of the spooky wagon. For information on other vendors who will be attending the orchard to display their crafts and wares, please visit the following link at Crafters Weekend Market. If you have never been to Cannamore I urge you to take the time to visit their website (linked up above) and read all that they have to offer and to learn about their history, it is quite intriguing and inspiring. You can even find short video clips on youtube as well! 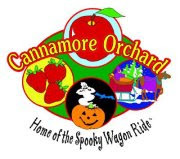 This Halloween season there will truly be something for anyone and everyone at Cannamore Orchard. We will also have our glitter tattoo's on hand and will make sure to have plenty of Halloween, pumpkin and scary themed glitter tattoo designs to pick from as well as the normal assortment we offer. We look forward to seeing you there!